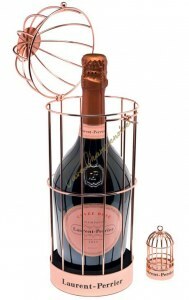 Champagne Laurent Perrier Cuvée Rosé 75cl - Box Golden Cage is not presently in stock. 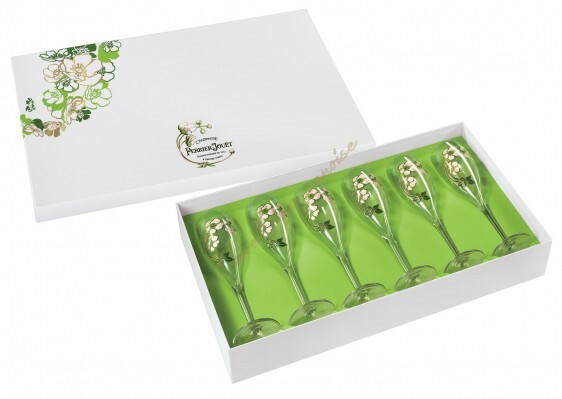 This year 2014, the house of Laurent Perrier champagne to imagine a beautiful box limited edition, reproducing a beautiful golden cage birds. 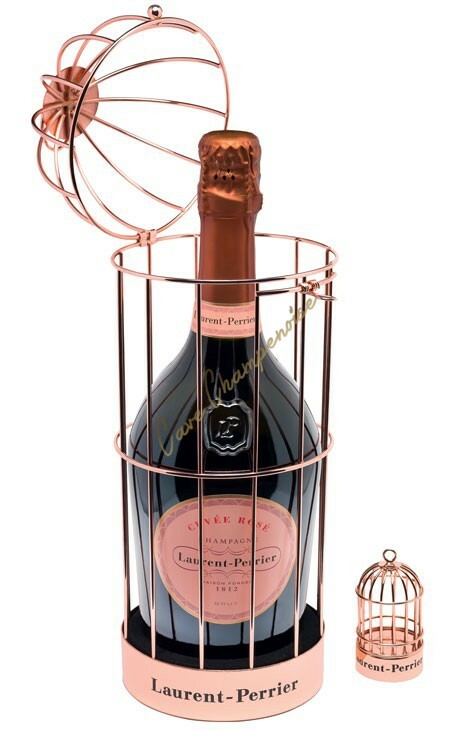 At the heart of this cage, there is one remarkable and emblematic cuvée of the house Laurent Perrier Cuvée Rosé the bleeding. 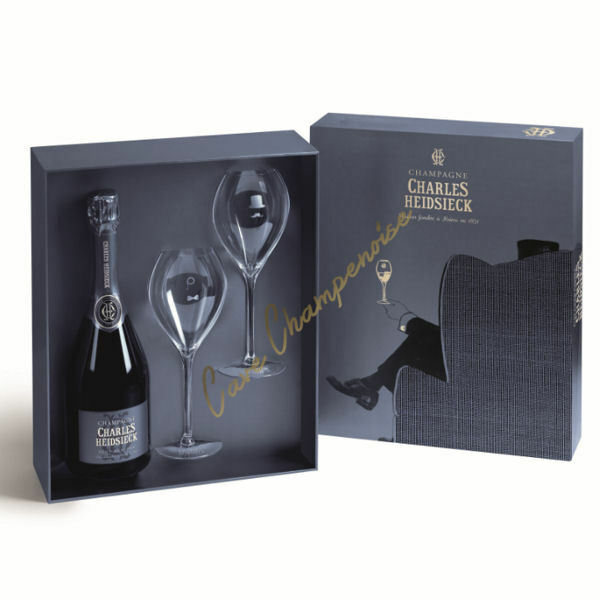 The kit also includes a very nice cap also referred to as a golden cage that will keep your champagne in the best conditions. 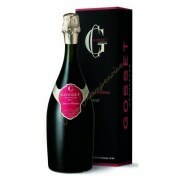 The Brut Rosé from Laurent-Perrier is the most emblematic cuvee from this champagne house. 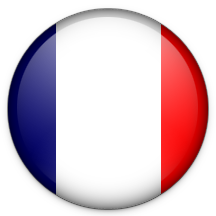 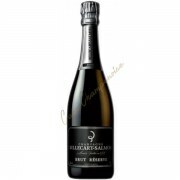 It is one of the rare rosé champagnes made using the free-run method, that is, by allowing the grapes to give their color and aromas to the champagne quite naturally. It’s a delicate operation which requires skill and patience. 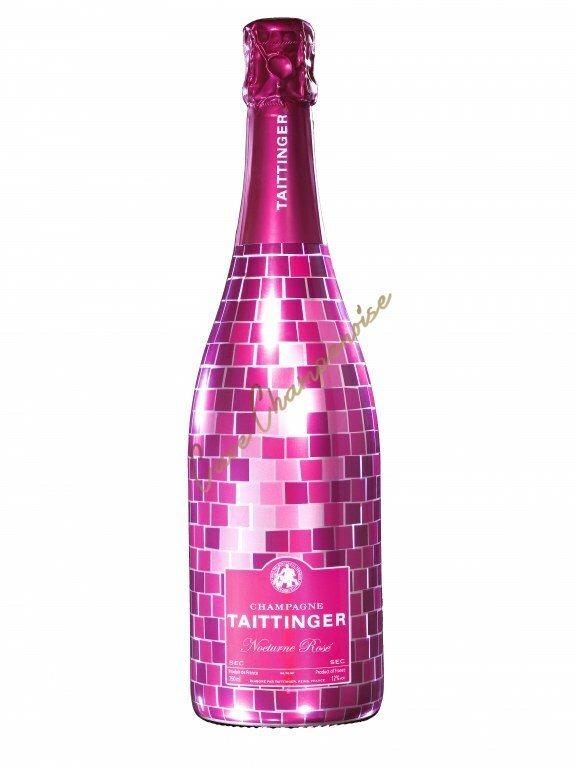 The Laurent-Perrier Brut Rosé glimmers with salmon pink reflections. 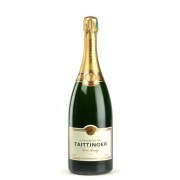 The first notes are fresh, of strawberry, redcurrant and raspberry. 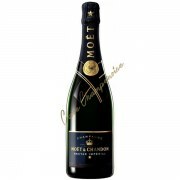 A delightfully crisp vivacity lifts the fruits on the palate, with its gourmand notes of small red fruits. 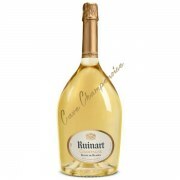 A champagne which is perfect for aperitif or dessert.